We are now accepting registrations for this summer’s Green-Schools Approved Teacher Training Courses in Dublin. 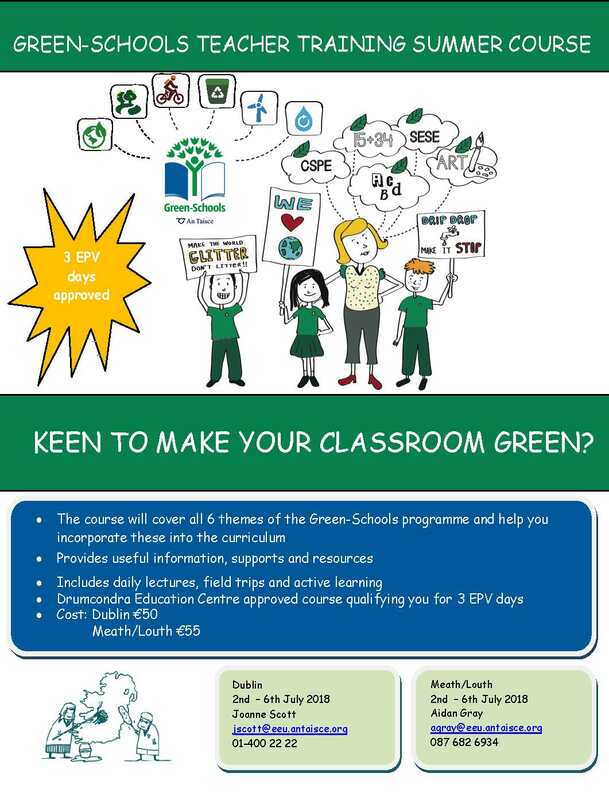 Keen to make your classroom green? Green-Schools Teacher Training Summer Course 2018 is now fully booked for Meath-places are still available for the Dublin Course. Please email j.scott@eeu.antaisce.org for booking. The courses run from July 2nd – 6th from 9.30am – 2.30pm and attendees qualify for three EPV days following completion. 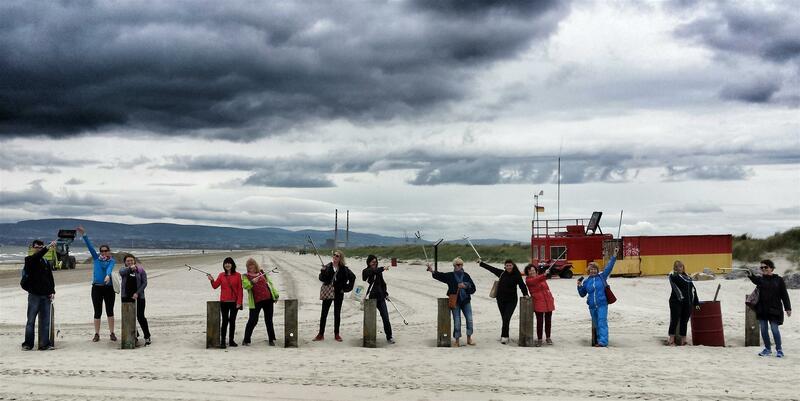 The Dublin course takes place in the Green-Schools office in Dublin 8 with excursions planned throughout the week. The course is €50 to attend (including lunch each day) and will cover the six Green-Schools themes. To get more information or register to attend contact Joanne in the Green-Schools office at 01-4002222 / jscott@eeu.antaisce.org.